As you may have seen from our Facebook posts, I just spent several weeks in South Africa for the Southern Hemisphere harvest, three of which were working as a harvest intern at Beyerskloof Wine Farm in Stellenbosch. When I wasn’t interning, I had the amazing opportunity to tour various vineyards in Breedekloof and Piekenierskloof, the regions where we source our grapes for The School of Wine. 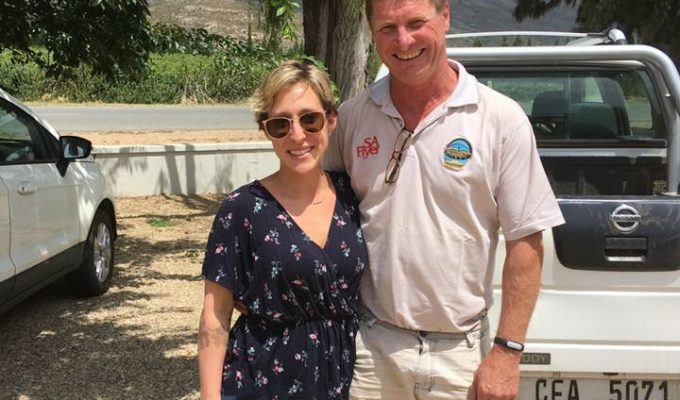 Besides learning a bunch (pun intended) of information about growing and harvesting grapes, I really enjoyed the beautiful countryside and the extraordinary people so much, that I wanted to share some of my experiences with my fellow wine lovers. The Breedekloof region is located on the Western Cape, just about 90 km outside of Cape Town. In this region, the grape vines are trained on a trellis system using Vertical Shoot Positioning. Breedekloof grapes are picked at 23 degrees Brix, which is a measurement of how much sugar is in the wine grapes and ultimately determines the alcohol content. Harvesting at 23 degrees Brix promotes a balance between sugars, pH, and acidity. Unlike the Breedekloof region, grape vines are Bush Trained in the Piekenierskloof region and sit at a higher elevation. Grapes in this region are picked at 25 degrees Brix, which is typical of Bush Trained vines and results in a more concentrated fruit profile. Grapes from the Breedekloof and Piekenierskloof regions, including Pinotage, Cabernet Sauvignon, and Shiraz, are all harvested by hand for premium quality. Don’t miss my next post where I’ll be discussing what I learned during my time as a harvest intern. Visit our Facebook page to see photos of the trip. Having a holiday gathering? We’ve pulled together a few delicious recipes that can all be made in under one hour and paired them with a wine selection to take the guess work and stress out of the festivities. Finding the perfect wine to serve for Thanksgiving can be quite a challenge. 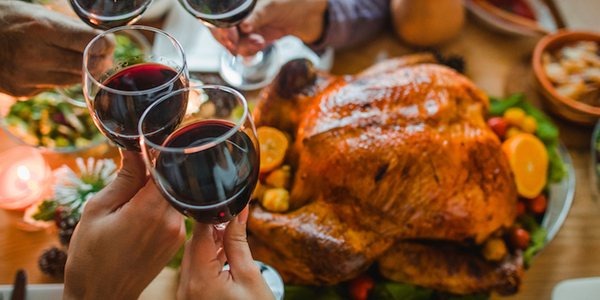 With an array of competing flavors – roast turkey, tart, fresh cranberries, marshmallow covered sweet potatoes, spicy sausage stuffing, just to mention a few – you need a few tried and true wine selections to perfectly fit your diverse dinner menu and the individual tastes of family and friends. If you’re a guest, you’ll want to choose a wine that can be served with a mixture of flavors, as a Thanksgiving menu can often include some unexpected food selections. Don’t fall into the misnomer that white wine is the only choice if turkey is the main fare. A lighter red wine pairs perfectly with the heartiness of a Thanksgiving meal. To help with your wine selection, below are a few of our favorite holiday varietals that will surely make your gathering a success. On behalf of everyone at The School of Wine, have a wonderful Thanksgiving, uncork some great wine and enjoy the most elaborate meal of the year! Searing acidity and zippy freshness with lemons, limes, petrol and flint make this super food friendly for all involved. It’s perfectly suited to pairing with a variety of dishes including cream dishes often found in abundance on the Thanksgiving table. With elegance and balance, flavors from grapes grown in California and South Africa show tart gooseberry, citrus, herbs, and hay with a touch of flint. This pairs wells with the wide range of flavors you can expect on any Thanksgiving table. One of Holly’s favorites! This semi-aromatic grape has tropical notes of pineapple, mango and melon and is an excellent pairing with roast turkey. Fresh fruit and low tannins make this varietal a refreshing partner to the abundance of flavors on the table. Look for Cru Beaujolais for elegance and Beaujolais Nouveau for a fruitier (and fun) style! This grape can produce such a wide range of aromas and flavors from light, elegant, refined and floral to dark, juicy, candy-like flavors. It pairs well with turkey and all the sides. Soft black fruits, a bouquet of purple flowers and a hint of crushed herbs make this wine juicy and sensual. Old Vine Zinfandel has a more concentrated fruit profile due to the age of the vine and therefore smaller quantity of grapes per vine. 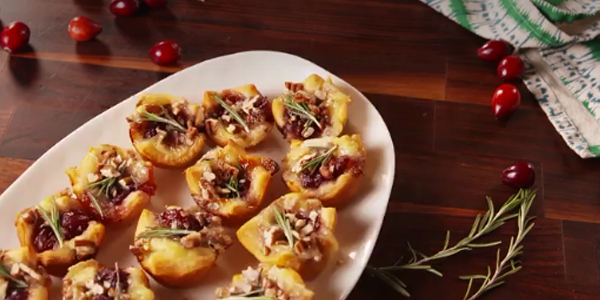 Enjoy this wine with all the delicious fare this holiday! The leaves are just starting to turn and even though the temperatures are still warm, we’re starting to think about apples – specifically desserts with apples and how much we love to pair wine with them! 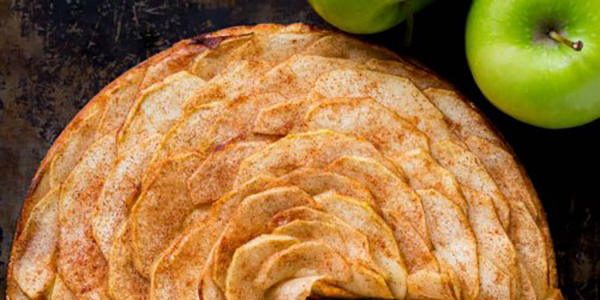 A rustic apple tart is the perfect dessert after a hearty fall meal. It’s not too sweet and paired with a Viognier or a Riesling, you’ll enjoy the crisp and refreshing mouth-watering pairing. We discovered a delicious Ina Garten apple tart recipe, featured in Epicurious, that is shockingly simple. For those of you who despise making homemade pastry, or just don’t have the time, you can use one sheet of frozen puff pastry, instead (just follow her directions) and add fresh apples. Enjoy every bite of the tart and wine together! For Ina Garten’s delicious version of an apple tart, click here. Recently engaged? 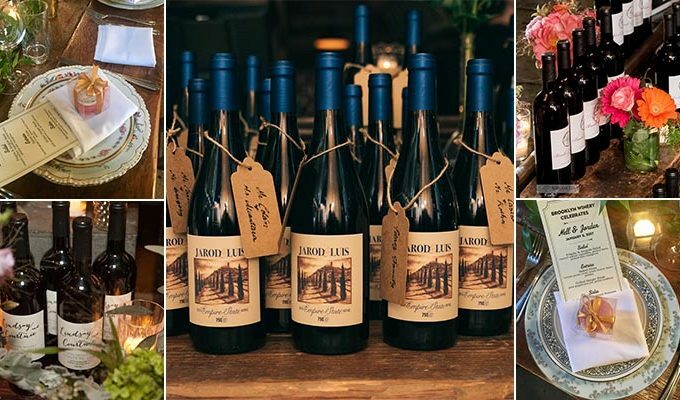 We’re a bit biased, but we think wine bottles are the perfect idea for memorable wedding favors that will undoubtedly be enjoyed by your wedding guests much more than Jordan almonds. A bottle of wine reminds your guests of your special day whenever they decide to enjoy the favor – whether that be the next evening or to toast your first wedding anniversary. You can save a bottle or two for yourself, as well, and you’ll have the perfect keepsake to enjoy a toast in your new home or for the birth of your first child. What you might not realize is that the four steps of the winemaking experience are also a memorable way to spend some quality time with your fiance during your engagement. Making a barrel of wine takes almost a year, so once you decide on wine bottles as favors, you’ll want to get started right away. A barrel of wine will yield about 240 bottles of high quality wine and the cost of the barrel equates to about $10-$12 per bottle of wine, depending on the varietal you choose. We have a selection of customizable labels in designs to complement all types of wedding themes or we can work with you to design a label that truly reflects your personal style. To learn more about making wine for wedding favors, click here. 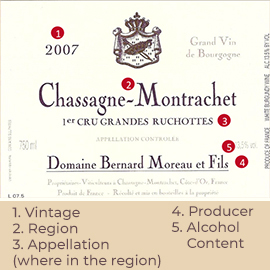 Besides often being well designed and eye-catching, wine labels usually indicate either the location where the wine is produced or the grape variety (aka varietal). While European wines are primarily named after their geographical origin, non-European wines almost always have the name of the varietal. For example, Bordeaux wine, which is produced in the Bordeaux region of France, is actually made from Cabernet Sauvignon, Merlot, Cabernet Franc, Petit Verdot, and even Carmenere and Malbec. Non-European wines almost always have the the varietal on the label, such as Cabernet Sauvignon from California. HAMMONTON, NEW JERSEY, February 28, 2017 – Gino’s School of Wine (Gino’s), a premier South Jersey-based wine school, today officially announced it is now under new ownership as Jack W. Kennedy III, President and CEO of Kennedy Investment Group, was formally introduced as sole majority owner. In conjunction with the announcement, the school unveiled a new brand identity that includes an enhanced logo and website. Over the next several weeks, the new logo and branding will be phased into the school’s marketing and operations efforts. The launch is part of Gino’s new ownership strategic vision to provide the very best in wine-making experiences and solidify the school as regional wine destination. As demonstrated in the school’s new logo, the announcement also includes the incorporation of Kennedy Cellars within the school’s official name. The re-brand was created in partnership with Muse Marketing + Creative, an award-winning Southern New Jersey-based agency specializing in brand storytelling and experiential marketing. About Gino’s School of Wine at Kennedy Cellars | Since 2000, Gino’s School of Wine at Kennedy Cellars has served as a regional destination for wine enthusiasts of all levels. Located in Hammonton, New Jersey, the school offers wine-making courses in a hands-on interactive setting taught by expert wine makers and educators. It was founded with a vision of offering the very best in wine education and tasting instruction through a fun, unpretentious and truly unique student experience. Visit KennedyCellars.wine to learn more.